Prodigy Discs says this about the D1 Max: If you lean on the D1 to bomb down the fairway with pinpoint accuracy in any condition, get ready to go a step further. 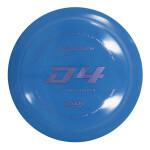 The highly anticipated D1 Max in 400 Plastic is ready to take flight. 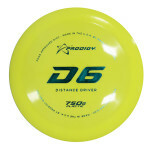 It will have the same reliability, consistency and wind-fighting power of the D1 with increased speed and potential for distance. Prodigy Discs says this about the D2 Max: The D2 has been a must-have in the Prodigy lineup since its release as one of the furthest flying, reliable discs on the market. 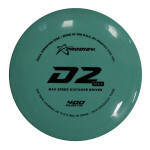 Now, the D2 Max will serve as a great compliment, touting the same reliability for maximum power drives while sporting a slightly shallower rim and slimmer profile for a comfortable grip so you'll always feel confident in your release. Prodigy Discs says this about the D5: The D5, is produced with our 400 series plastic and is the most under stable of all of our drivers to date. 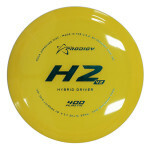 It will hyzer-flip and end with a smooth right to left roll. 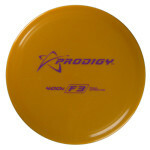 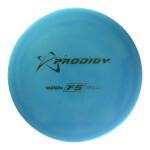 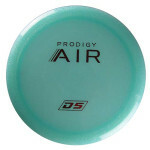 Prodigy Discs says this about the F3: The F3 is a stable fairway driver for long, controllable flights with a mild finish. 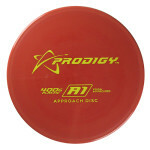 It is a great disc for all skill levels. 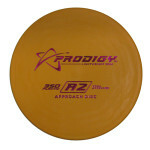 It features our ?Easy Release Technology?. 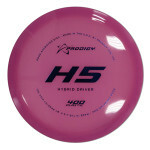 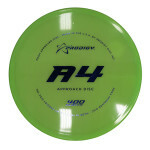 Prodigy Discs says this about the H1 V2: The Prodigy Disc H1 V2 is a re-engineered, over stable, fast flying, Hybrid Driver that has evolved from of the original H1. What separates the H1 V2 from the original H1 is an update to the rim depth, which has been reduced slightly for an easier grip. In addition, the modified outside rim produces a consistent yet faster flight with more glide. 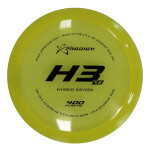 By increasing the speed and glide from the original H1, the H1 V2 offers more distance without losing dependability and its over stable finish. 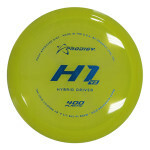 This speed 11 Hybrid Driver will get the job done, regardless of the conditions. 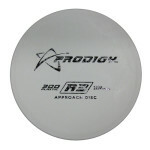 Backhand and side arm throwers will both benefit from this new design. 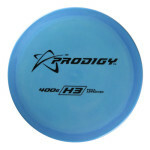 Prodigy Discs says this about the H2: The H2 is an over stable hybrid disc with a little less stability and more glide than the H1.